MLB Organizations behaving good … and bad. Today is a tale of two organizations. I’d rather talk about that than the opening series loss to the pitiful Mets, featuring a 6 run meltdown from Stephen Strasburg today. Read this piece this week on For the Win (USA Today’s sports blog), linking to a story by Steve Bisheff of the OC Register in SoCal. Worth a read. The Padres have re-signed a former minor league prospect every year since 1996 to a contract to give him a small stipend and access to health care after he had a debilitating heart attack on the field. Its nice to read stories like this. As has been well reported by now, Angels slugger and contract disaster Josh Hamilton had a drug relapse over the off-season and self-reported himself to the league. While negotiations were underway to determine what, if any, penalties were to be done, someone leaked pretty much all the details of the situation, drastically violating the confidentiality of the Joint Drug Agreement and hanging Hamilton out to dry. Which happens; there’s plenty of players who have been labeled “PED users” by virtue of leaked reports of supposedly sealed and/or anonymous testing. It can be assumed but not proven that the leak came within the Angels organization, based on who reported it (team beat reporters) and who their sources generally are (team officials). Eventually it was determined that Hamilton would suffer no consequences, to which the Angels president John Carpino was quoted, “It defies logic that Josh’s reported behavior is not a violation of his current program.” The GM Jerry Dipoto also issued a rather snippy press release, going out of his way to degrade the player. Wow. Way to stick up for your player, guys. I agree with Craig Calcaterra whole heartedly here; this comment was petty, graceless, and completely unnecessary. And I also agree with his opinion (stated here), that MLB’s subsequent decision not to investigate the leaks is just as abhorrent. Hamilton has a past; he has an addiction, just like millions of Americans. He struggles with it, and sometimes slips. So do we all. There’s probably not one person reading who wasn’t once “addicted” to something or another, or who had a bad habit they struggled to break, who cannot relate to his issues. Nicotine, Alcohol, high-fat foods, whatever. To show so little sympathy is kind of tough to swallow. For years, the union held out against drug testing, in large part because of *exactly* what has continually happened since. Constant leaks from people (either in the MLB or with teams) who have axes to grind and who give anonymous quotes to reporters, who then dutifully report salacious details with no provable accusations that end up destroying careers (see players such as David Ortiz, Jeff Bagwell and the “back-acned” Mike Piazza for more examples). This Hamilton example is just one more example. You can’t put the genie back in the bottle either. Subscribe to comments with RSS or TrackBack to 'MLB Organizations behaving good … and bad.'. I’ll just bet the information about Hamilton would not have been leaked and those statements would not have been made if he had been playing up to the level of that idiotic contract the Angels gave him. They were no doubt hoping he’d get suspended–thus partially saving them from their own bad decision in signing him. In fairness, Hamilton IS making $25MM and the Angels should be able to expect that he’ll keep his body in the best shape possible or suffer some kind of consequences. Kudos to Hamilton for admitting it and shame on the Angels for leaking, but Hamilton shouldn’t have done drugs and the Angels are left suffering the consequences. You can definitely take that stance. That pro athletes get paid a ton of money, therefore they are held to higher standards than regular citizens. Or you can compare it to normal people. Most people don’t get drug tested for their job … so imagine if you approached your employer and said, “hey, while I was on summer vacation, I had a relapse for an addiction that i’ve dealt with for years. I handled it on my own and i’m back off the sauce, and i’m here to work.” And your employer behaved like the Angels did. Most normal people don’t get fired for smoking pot on their own time, or getting DWIs, or even serving jail sentences for petty charges. Athletes get severe penalties for such things. I’m not sure its entirely fair. Then he shouldn’t have admitted it. It’s not fair that ballplayers can make $25MM/yr compared to the average folks who make 5% of that, but I’m ok with that because guys like Hamilton have tremendous skills and entertainment value – in exchange, though, they should be held to a higher standard IMO. Hmm, I guess Stras should cross one deep-pocketed SoCal team off his destination list. There’s a lot to be said for playing for a class organization, which a few guys who are eager to leave town to chase big paychecks might do well to consider. I was at the game today, and by my reckoning, Strasburg made one pitch he would regret – hitting Duda with a 1-2 pitch. After Granderson singled, Strasburg got David Wright to hit a tailor-made double play ball that Desmond booted. Against a very tough (especially against RHP) batter, Strasburg got too fine and just nicked Duda. Meltdown coming? Well, Strasburg broke Cuddyer’s bat (you could clearly hear the distinctive sound) and produced a soft floater to second that probably 90% of MLB second baseman catch easily. Unfortunately for Strasburg and the Nats, their current second baseman is short, 35yo, and isn’t athletic enough to jump much. Instead of an out, a two run single. Undeterred, Strasburg flummoxed Nat-killer Murphy into a weak squibber that barely travelled 60′ under its own power. However, it was perfectly placed into the “Bermuda Triangle” between Strasburg, Zimmerman and Uggla. Another run. Lagares pops up to Zim for the second out. But then one last BABIP disaster happens when d’Arnaud takes a mighty hack that produces a crappy floater into CF. Taylor (fooled by the swing?) gets a late break on a ball that seems to hang forever before it falls just in front of Taylor. Two more runs. Strasburg K’s Flores (as he should). Hell, even the Mets fans around me admitted that Mets were blind lucky – although they said they had it coming for having to put up with the Wilpons. To say Strasburg (mentally or physically) was the problem today is to say that Strasburg’s problem was giving up any kind of contact at all to MLB hitters, and/or that he was responsible for not inducing the Mets to hit it to better positioned or skilled defenders. John; admittedly I was working, didn’t see the game nor the context. I’m looking at the box score: 9 hits and 3 walks (and a HBP) in less than 6 innings. He was quoted as basically saying the Mets were really unlucky. Just one of those games where his stat line doesn’t flatter him. That being said …. that’s an awful lot of base=runners and seeing eye singles for one day. I mean, 13 base runners in less than 6 innings can’t all be unlucky right? Andrew; he admitted it b/c that’s the right thing to do, especially for someone who’s gone through AA or NA. He admitted it in a forum where he thought he’d be protected. That’s the sh*tty part here. That someone in his org decided to “out” his failure and start this whole issue in the first place. THAT’s the part i’m harping about here; the behavior of the organization. Which is even more evident in the post-incident quotes that the GM and President were heard saying. Just deplorable. This article wasn’t about Josh Hamilton. In fact, the Mets had a helluva lot more solid contact in the game the Nats won than they did in the two games that the Nats lost. But the BABIP Gods were in the Nats’ corner when JZim pitched and was in the Mets’ corner yesterday. Harper, Zimmerman, and Taylor all made nice defensive plays behind JZim – and Desmond didn’t make any ugly errors. The Mets particularly got screwed in the 9th on Wednesday, as Granderson scorched one shot that turned into an out when Zim made a play that ALR probably hasn’t been able to make since 2010, and then Duda’s laser line drive went directly into Treinen’s glove resulting in a game-ending DP. Go figure baseball. Contact – what a concept. Perhaps the Nats should try a little of it after whiffing THIRTY times in three games. Just put the ball in play, guys. The bumps and bobbles tend to even out over the long season. Let’s go lay waste to Philly and get back on track. And if the Angels in fact leaked Hamilton’s relapse in an attempt to get out of paying his contract, Todd is absolutely right – that would be truly reprehensible. It reminds me of Steinbrenner hiring a PI to try to dig up dirt on his own player (Dave Winfield) – for which Steinbrenner was suspended from baseball for a couple of years. Certainly, the Angels are not without guilt for leaking the info. That’s wrong. BUT… Hamilton broke his HUGE contract. And it looks like the Angels may go after him for breach of contract – http://www.mlbtraderumors.com/2015/04/angels-may-seek-contract-action-against-josh-hamilton.html. I hope the Angels win. These huge contracts should not be ironclad – A-Rod, Hamilton, Braun, etc. Reading more about this, there is a sentiment that the Angels believe that Hamilton deliberately manipulated the system by confessing and alerting the media himself to avoid actually failing a test. That would be why they are treating him as they are. Havn’t read anything that implies Hamilton “gamed” the system; please post a link. This link has the owner saying there’s something in the contract that has an anti drug thing in it. Meanwhile the Union quickly noted that the JDA and collective bargaining agreement supercede any such thing. Clearly to me, the Angels have buyers’ remorse on Hamilton and are now looking for a way out. Which is sh*tty. Perhaps they should look up the definition of “contract.” If Hamilton was putting up MVP numbers, you damn well know that they wouldn’t be taking such a public stance. You’re probably right that if Hamilton had Trout’s numbers, that they’d let more slide. But Hamilton had a history and the Angels thought they had accounted for that in the way they structured his contract. I’m pulling the “gaming the system” stuff from comments from other fans on articles and from how Hamilton is now fighting the suspension. 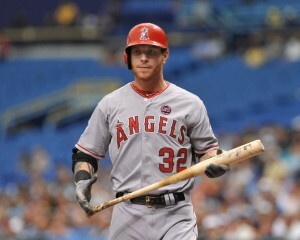 IMO, he should be offering some goodwill to the Angels for trusting him with this huge contract even after his history. Sure “let the buyer beware” but the seller shouldn’t be selling a lemon either. I’m not saying Hamilton should void his contract, but he should be coming to the table and offering something back in return. Nah… instead he’ll keep cashing those $3MM/month checks. And why wouldn’t he keep cashing those checks?? The entire pre-arbitration system is geared specifically to keep player salaries low while they’re at their best. You only reach free agency at that point when you’re basically in career decline. When Hamilton was making the MLB min, he was putting up 5-win seasons. His first arb year was his monster 8-win season. Perhaps if MLB had a system in place that actually tied performance to pay, your arguments would make sense. I’m sure every player who has signed a long term contract through their decline years would say the same. I also just don’t get how you can possibly think his entire contract is soured by what apparently was a “slip.” How much “damage” do you think he could have *possibly* done to his health by having a bender weekend in the FIVE MONTH off-season?? Oh, by the way, I put the same amount of faith in “comments from other fans on internet articles” as i Put in my own opinions about nuclear physics. Show me a reputable reporter who has made the same claim and i’ll buy it. I read every national baseball writer who has an RSS feed; i havn’t seen a single opinion to that effect. I agree … But I’ve been trying to figure this all out bc we don’t seem to be hearing a majority of the story. But if CJ Wilson’s story about the PE being hired to stalk him is correct, maybe Moreno is bat crazy. That’s the link to the Cj Wilson assertion, btw. I scanned it briefly over the weekend. Also read this fun little nugget; the Angels have reported removed all Hamilton merchandise from their team store. This doesn’t really sound like the actions of a team that thinks they’re going to have their player back. The Angels have even taken away Hamilton’s locker!